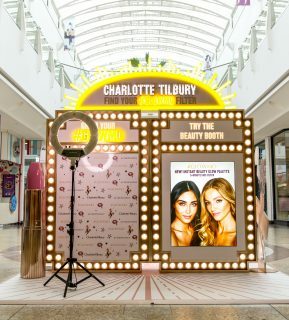 Infamous not only for the cosmetics, but also the woman behind the brand, Charlotte Tilbury has made a huge impact in the beauty industry. 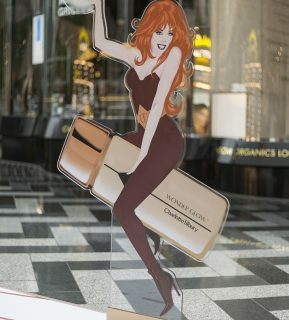 Within the past four years the brand has become the rose-gold staple of most cosmetic wardrobes! With this in mind, we're pleased to see the iconic launching new retail design concepts with the D4R team. This time, we talk Tilbury pop up shops. Or #GLOWMO pop-ups to be more exact! 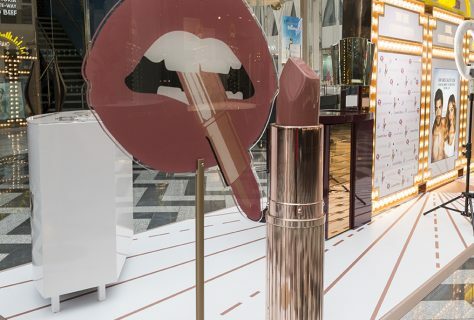 Designed with the brands key narrative in mind, the pop-up featured all kinds of Hollywood glamour. From the statement lighting and rose gold finishes through to the playful oversized products, this pop-up emanated Tilbury from start to end. In just over a month, the pop-up hit four major cities - each with a slightly different layout and effect. 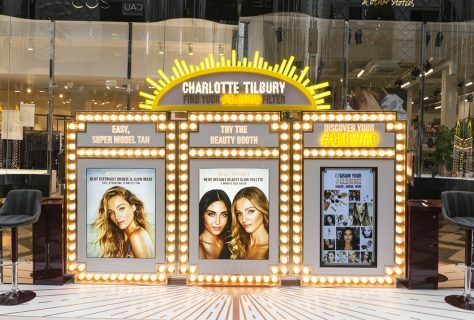 Shoppers in Bristol, Leeds, Cambridge and Cardiff were treated to the full Tilbury experience, for just a week each. Not only did every inch of the space radiate luxury, but there was no shortage of interactivity. Firstly, the products. Ready and waiting atop their own sleek podium, the #GLOWMO product range was on show for visitors to the pop-up. However, the interactive element did not end with the products themselves. 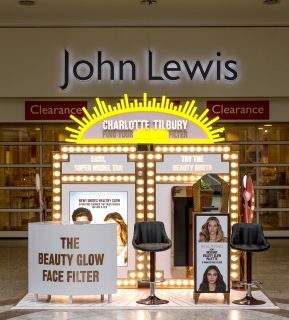 Once made-up, each visitor could become fully immersed in the brand via a selfie light! 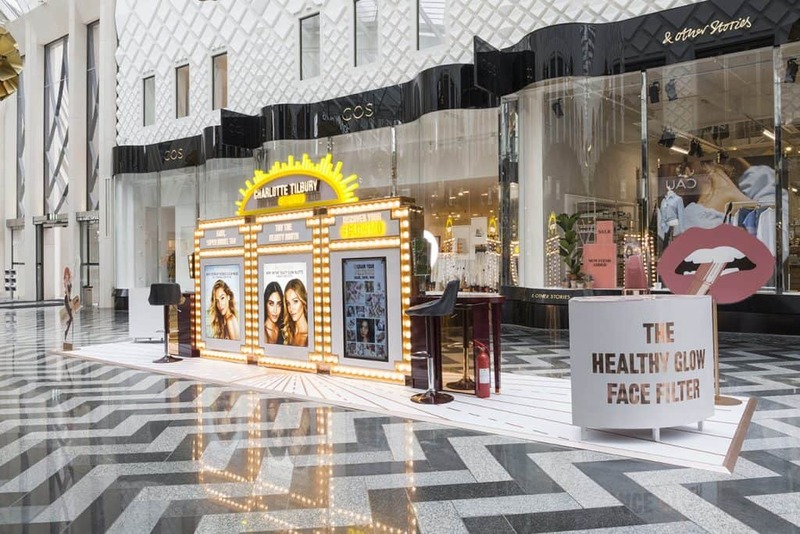 Providing the right amount of picture-perfect glow, the light helped visitors take their greatest selfie in the beauty booth. 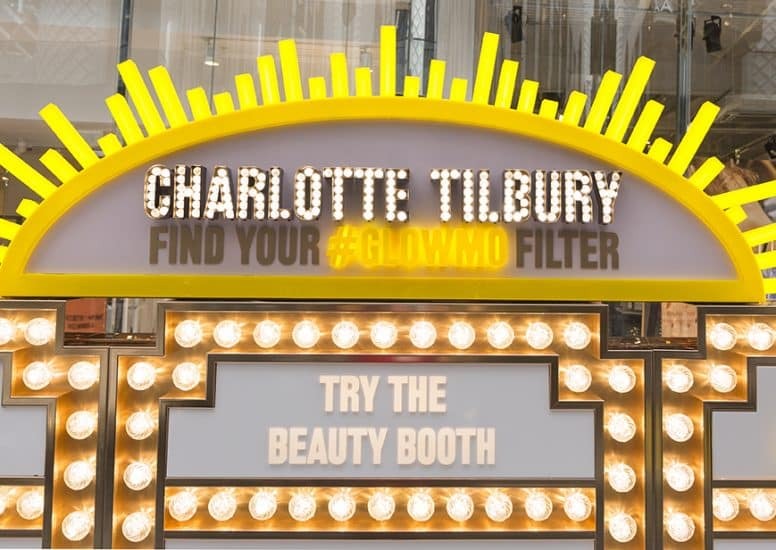 With the product range already lending itself to social media, visitors of the beauty booth were encouraged to ‘gram their #GLOWMO! 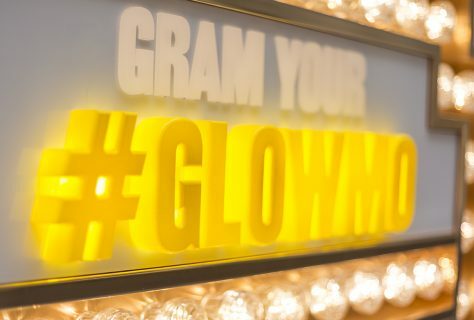 After posting, the 'grammers could expect to find their photographs uploaded onto screens at the pop-up; along with other #GLOWMO supporters across social media platforms. For visitors to the stand who didn’t take part in the selfie-taking, the space continued to provide enough ‘grammable moments with playful and oversized products. Aside from the lipsticks and sultry lips, the model of Tilbury herself aboard an oversized Wonder Glow was certainly a picture point!